Fabulight designs Bespoke Lighting fixtures from fabrics, acrylics and several other materials to produce a truly unique lighting installation for our clients. 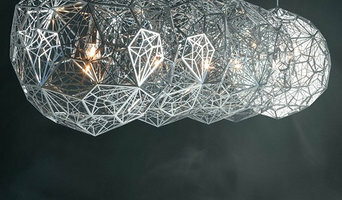 Fabulight’s lighting range uses our original designs enhanced with Fibre Optic and LED light sources. Textile printing and hand painting of fabrics are incorporated to further enhance our creations. 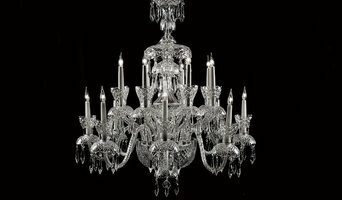 We custom design and craft crystal chandeliers and lighting of the highest quality. All our pieces are hand crafted by master craftsmen at our custom crystal making workshop in Waterford, Ireland. All of our custom made chandeliers are hand made using only 33% full lead Irish crystal for unparalleled purity, resulting in an incomparable diamond like sparkle. County Waterford is steeped in the tradition of crystal making and in 1993 Tara Crystal was formed to specialize in the art of designing and making of crystal chandeliers. All of our craftspeople have inherited the craft of blowing, cutting and polishing full lead crystal. Tara Crystal prides itself in the skill and attention which goes into each chandelier produced in its work shop in Annestown Co Waterford. Apart from actually designing and creating lights, a lighting designer, or lighting specialist, will also know where in your home to install lights in order to create the visibility levels you need and the mood you desire for a space. All lighting specialists in Kilkenny should be knowledgeable about energy efficient lighting and the technical installation of various lighting systems, so you can ask them for advice when it comes to updating your lighting systems. 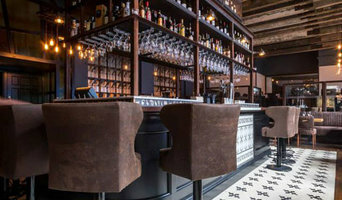 As well as lighting designers, Kilkenny lighting manufacturers may also be able to create bespoke lighting systems that will be designed to fit perfectly with your home, or perhaps if you just want a few key lighting pieces then you can find the Kilkenny lighting manufacturers that sell the style you’re looking for. Floor lamps and side lamps are great ways of adding subtle lighting when you don’t want harsh overhead lights, or light sconces on the side of the walls are ideal for traditional, more formal settings, or perhaps you could opt for more unusual sconces that can work as an illuminated wall feature? Manufacturers should be lighting specialists too, so they should be able to advise on which lighting piece would work best where in your house. In the kitchen, pendant lighting is a popular choice to hang over the breakfast bar or dining table and undercabinet lighting is a convenient way of adding more light when preparing meals. Lighting designers and lighting manufacturers in Kilkenny will be able to professionally install these lighting elements for you, so you won’t need to worry about wiring or positioning bulbs in the right place. Find a lighting designer or manufacturer on Houzz. Narrow your search in the Professionals section of the website to Kilkenny lighting designers and lighting manufacturers. You can also look through Kilkenny photos by style to find a design you like, then contact the lighting specialists or designer that worked on it.